I have installed the newest QGIS and downloaded python-docx from this link python-docx . I haven't installed separately a different version of python. 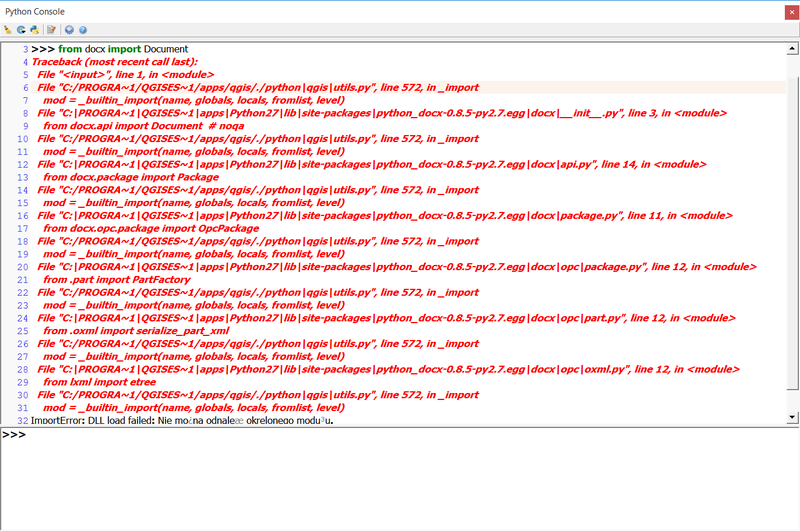 Is it possible to integrate this package of python-docx to work with QGIS (Windows version) ? just notice that the qgis 3 python console intellisense will not be updated, but in pycharm, yes, how ever the module import works for both. Executing python script from web using QGIS? How to import PyQt5 in QGIS 2.99?